Hoops with earring charms are the perfect travel earrings. 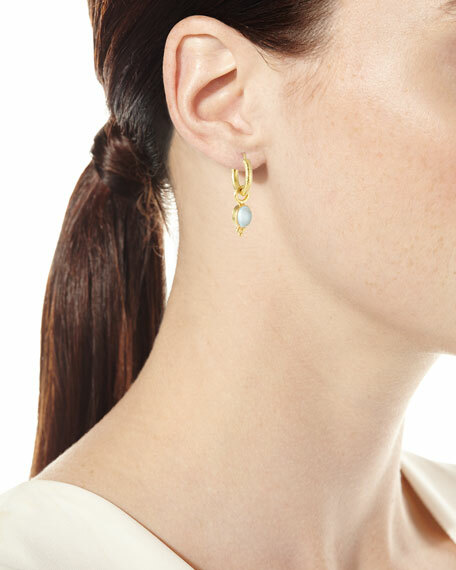 A single pair of hoops accompanied by a few pairs of charms provides a complete wardrobe for day-to-evening looks. Earrings sold separately. 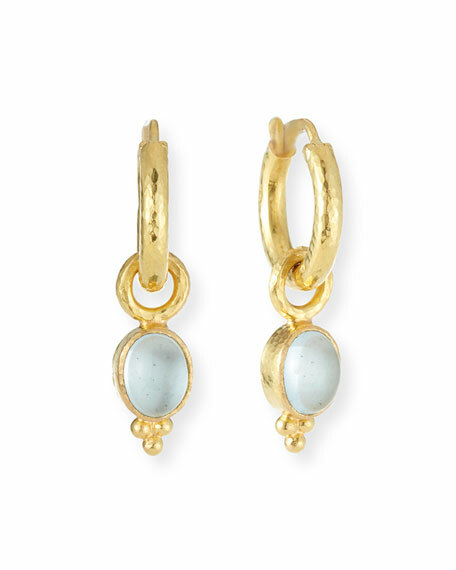 Aquamarine earring charms by Elizabeth Locke. Aquamarine oval drops in bezel settings. Please note: Hoop earrings, shown, are not included.